Our family has been fortunate to have attended a few Disney On Ice presentations, and we seem to always leave amazed with the skating. Not just the skating but the portrayal of our favorite Disney characters and stories. It is the wizardry of skating with the Disney storytelling that brings us back. We usually see Disney On Ice at the GIANT Center in Hershey, Pennsylvania, and guess what is coming to Hershey in April? 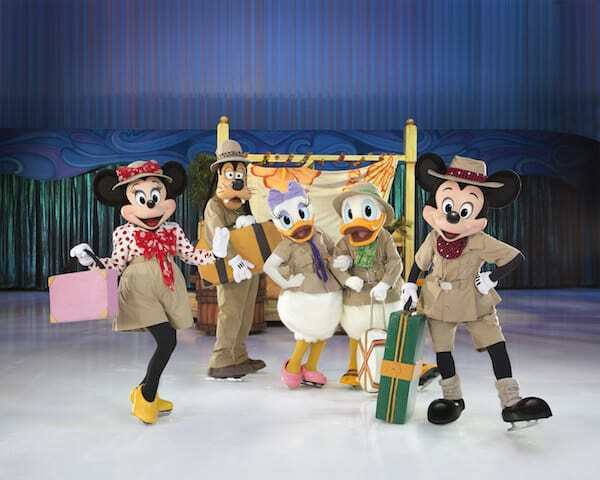 Disney On Ice Passport to Adventure Presented by Stonyfield YoKids Organic Yogurt! Embark on the ultimate sightseeing holiday with all your favorite Disney characters in Disney On Ice presents Passport to Adventure. Join Mickey, Minnie, Donald, Goofy and Daisy on a journey to the magical worlds of Disney’s The Lion King, The Little Mermaid, Peter Pan and Lilo & Stitch. You’ll explore the Pride Lands with Simba, Timon and Pumbaa; voyage under the sea with Ariel and all her aquatic friends; tour London with Peter Pan and Wendy, before flying to Never Land; and travel to Hawaii to visit Lilo and Stitch. Upbeat music, loveable characters and exciting destinations make Passport to Adventure a holiday you’ll never forget. Disney On Ice presents Passport to Adventure features an international team of award-winning figure skaters, high-energy choreography and a colorful set that captures all four unique worlds. Audiences will be entranced as they experience this exciting excursion — one that will fill the arena with magic, music, and best of all, Mickey and Minnie! Doesn’t that sound like a great show? I know we can’t wait to see this show! Take a look at a video montage from the show. Weren’t those lifts great? If you’d like to purchase tickets, you can click on the graphic below to head over to Ticketmaster. I’m also excited to be able to give away a family-four pack of tickets to this show. Make sure to read the prize details very closely as they are very specific. NO transportation is included in this prize. Tickets only. Leave a comment below telling me which of the four magical worlds that will be visited in this Disney On Ice presentation is your favorite and why. Rules: Giveaway starts at 05:00 am Eastern on March 3, 2015 and ends at 11:59 pm EDT on March 20, 2015. Open to U.S. residents 18 years old and older. No purchase is necessary to win. Void where prohibited. Odds of winning depend on the number of entries collected. 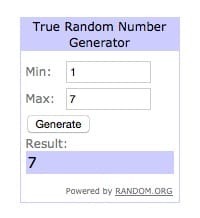 The winner will be chosen by Random.org and will have 48 hours to respond after being contacted by email. Please make sure to use a valid email address. Facebook, Twitter, Pinterest, and Google+ do not endorse this, nor sponsor this giveaway. Nor are Facebook, Twitter, Pinterest, or Google+ affiliated with this giveaway in any way. This Roller Coaster Called Life is not responsible for prize fulfillment. Additional rules here. The Lion King, The Little Mermaid, Peter Pan and Lilo & Stitch. I like Peter Pan, I like all the adventure! The Lion King, The Little Mermaid, Peter Pan and Lilo & Stitch..I love the Little Mermaid…I always loved that movie as a child, I love the underworld of the ocean! The Lion King, The Little Mermaid, Peter Pan and Lilo & Stitch. I love the Little Mermaid because I love all the underwater life! This sounds like a great show! On any given day, I might pick a different world as my favorite. Having just returned from sunny FL to PA, I’m going to choose Lilo & Stitch because I could use some Hawaii warmth! The Lion King, The Little Mermaid, Peter Pan and Lilo & Stitch I love Peter Pan the most because it is magical and takes you to a place where anything is possible. I think of the 4, my favorite world would be The Little Mermaid! What could be more magical than Disney on Ice and mermaids all in one???? The Little Mermaid. One of my 11 year olds is nuts about Aeriel and I know this would be her fav.